It’s all about you and what you think about our product. 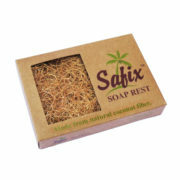 We love hearing your feedback.Here are comments from a few, who put pen to paper, emailed or rang in, and told us what they love about Safix TM scrub pad. 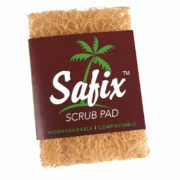 My husband just bought your wonderful Safix scrub pad today at a supermarket here in Dubai called Waitrose. He bought two and I just used it and find it very very good so good that I am going to buy more! Also will let my friends know about it too! I am so glad you found a way to make it and it looks so good and good enough to eat! Well its from the coconut – wonderful colour I think more like the colour of the husks themselves – natural colour! You are correct it will never be forgotten I will now buy nothing else – so hopefully Waitrose has lots! Hope you get the Patent soon. Its great you have made a product that is eco friendly -more eco friendly products please! 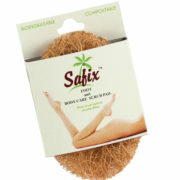 I’ve been using SAFIX and besides it being a brilliant business idea its also a very effective product. While I have been recommending it to friends and family, we’re all facing the same problem that repeat purchases are becoming an issue as its really hard to get hold of in Gurgaon. The only place that stocks it, on an ad hoc basis, is Spencers. Now I was hoping to be able to order a dozen or so online from time to time but it seems to me your website only permits B2B sales. Any options/solutions that could work? I’m happy to pay for the courier costs as well.